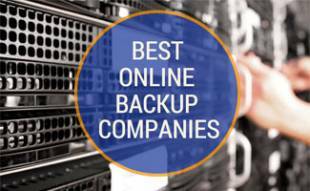 Comparing online backup services is a complicated task that can be, not only overwhelming but also confusing. Each company offers different features with unique services, but the end goal is the same — to help you keep your data safe in the case of a computer crash. So, which one is best for your needs? 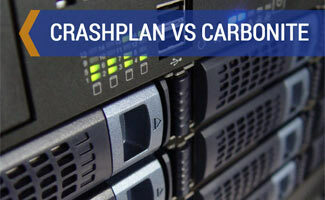 We have a clear winner in this CrashPlan vs Carbonite review. 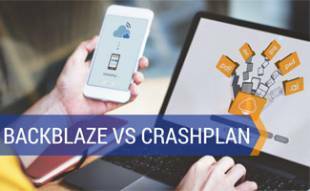 Founded in 2001, CrashPlan is owned by Code42 and is used by seven of the world’s ten largest technology companies. Companies like Expedia, Adobe and GettyImages use CrashPlan for their online backup needs. Carbonite was founded in 2005 and has won many awards. Many of those awards are for customer service, including gold and silver 2016 Stevie Awards. With reputations like these, this is bound to be a good head-to-head online backup comparison. Carbonite and CrashPlan offer the same support options: FAQs, help community, live chat, phone and email. Fortunately, both companies have great reps working for them too. So, if you need help with either service, you’ll be in good hands. The initial backup for Carbonite may take longer, but the incremental backups are faster afterward. You can search for a file online that has been backed up, but restoring can be tricky. It takes longer to restore the files, so if you’re in a hurry you, may get irritated. Uploading your files to be backed up online is easy with CrashPlan. You can access them from the mobile app or on your web browser. Restores work seamlessly as well. Previously (in 2014), users had difficulties with upload and download speeds, but these issues seem to have been resolved. CrashPlan uses 448-bit Blowfish encryption. This means your files are encrypted multiple times before they are stored in the cloud. This is better encryption than many banks and online businesses use. Carbonite uses 128-bit Blowfish encryption, but you can upgrade to 1024-bit encryption for a fee. Since the default encryption is higher for CrashPlan, they are the winner here. Confused on what those encryption numbers mean? This video will help explain the different levels of encryption. Carbonite takes you step-by-step on setting up your cloud backup services. Select the files that are most important to you and the files that are unselected will automatically be backup up to your My Documents folder. Please note that videos are not automatically backed up for Carbonite Home users, so you’ll have to select them individually. Crashplan does a similar thing as Carbonite, but it is less intuitive than Carbonite’s. If you are new to online backups, it may be difficult to understand. For example, you can backup your data using CrashPlan Central, peer-to-peer or manage local backups. To get the most bang for your buck, you’ll need to dive in to the menus and understand the software fully, which can take some time. Below is a table displaying the features offered by CrashPlan and Carbonite. Drumroll, please. And the winner is….CRASHPLAN! Ultimately this was a tough choice because they’re both great online backups. In the end, CrashPlan came out on top because of its encryption levels, reliability and great customer service. However, if you’re new with online backups, you may want to test out Carbonite since it is more user-friendly. While CrashPlan wins this head-to-head, there are many other options when it comes to backing up your valuable data. 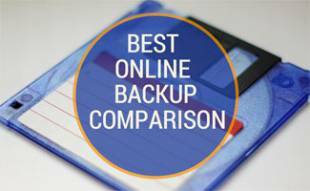 You can compare CrashPlan and Carbonite against other online backup services here. 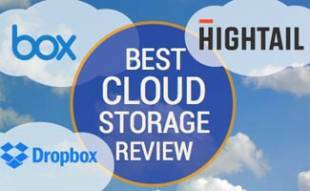 Do you back your data up in the cloud? Review is a little off. Not mentioning Carbonite’s Individual computer plan pricing $59.99/yr (plus 2 other options) was misleading (only putting their unlimited plans vs CP’s breakdown). Apples & Oranges. Also, the limit of 4GB is only on the first upload (with the exception of .pst files that can be any size). Any file you have over 4GB, can be backed up by right clicking the file and click ‘back this up’. Hi and thanks for the comment. Since we’re targeting this article towards businesses we only included Carbonite’s Office plans, not the Home plans, which is why you didn’t see the $59.99/year option. We have added in the Home plans in case someone with a smaller start-up or business doesn’t need the full Office plans yet. Thanks for bringing this to our attention. Also, we found that the file size limit is 4GB for Home plans and 1TB for Office plans.